Announcing Collect All 21! – the expanded “A Few Special Modifications” eBook edition! Please note: As of April 2012, Hukilau has closed its virtual doors, but I have made the expanded digital edition of Collect All 21! available through Amazon. I’m awfully excited to finally be able to share this: Collect All 21! is now officially available as an eBook, thanks to the fantastic guys at Hukilau digital publishing. Bottom line: There’s more stuff, in the form of a fairly lengthy addendum to the original book. What, you ask? Cue the promo blurb! This newly-expanded electronic edition includes the author’s interviews with Star Wars cast and crew members reflecting on the saga’s impact from both first-generation-fan standpoints and a career spent bringing the universe to life on-screen. There are also a few new bits of my own reflections and memories in there, too. So, what are you waiting for? You know at this point you don’t need an actual Kindle or Nook device: iPads, iPhones, Droids (yes, the ones you’re looking for, ha, ha.) – you can get free reading apps on pretty much any handheld device or laptop or desktop or whatever. Big, big thanks to Matt Kelland and Wade Inganamort at Hukilau for their encouragement and support and for wanting to make this happen. Without a doubt, this has been an interesting and adventurous and challenging and rewarding year in all sorts of ways, from relaunching “Collect All 21!” to Penguicon to the Towpath Marathon. 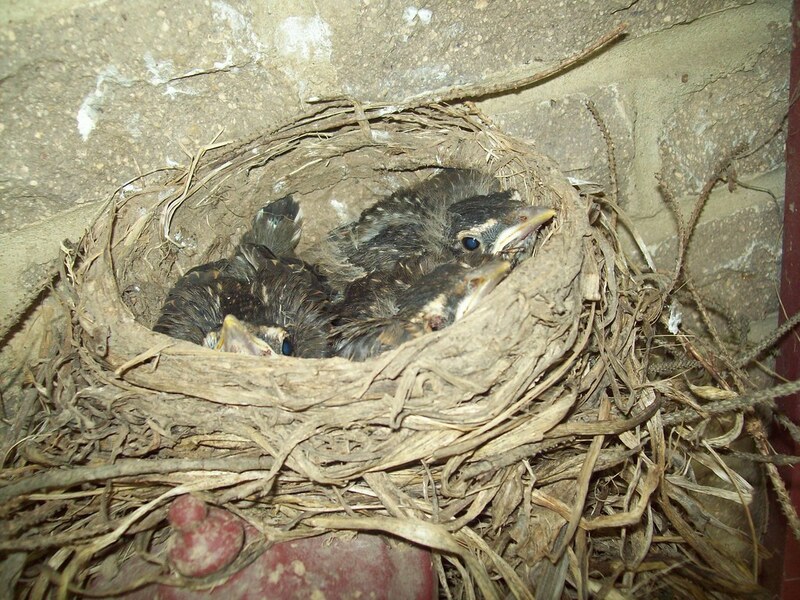 And, oh yeah, there was that thing where I was thrown headfirst into my freelance writing career. “Roller coaster” doesn’t even begin to describe this ride. I’m lucky to have a supportive and loving wife whose full-time job provides us health insurance and a measure of stability. Lucky to have the friends and contacts and encouragment to prevent full-on panic from day one. There are, to be sure, fantastic pluses. I cannot possibly overstate how much I love working from home, and how much I’m enjoying the variety of editing and writing projects and assignments I’ve been offered. If this was only about the work, hell yes it would be totally worth it. But it’s not just about the work: It’s about seemingly endless uncertainty, unpredictable pay schedules, the constant search for more projects, and the wrestling with budgets and tax puzzles. It’s about finding joy in earning just enough to no longer qualify for unemployment but still wincing at a monthly bill calendar that doesn’t care whether I get paid next Tuesday or in six weeks. Still, I remain optimistic that by the time the one-year anniversary of my job cut rolls around in late March, I will be able to look back on it as far more of a promising beginning than a harrowing ending. That said, it has not been an easy lifestyle adjustment, and with work slowing down as 2009 closes, Jenn and I are far more budget-conscious this holiday season than we have ever been in our 13 years of marriage. I have 27 copies sitting here in my office, and I would desperately love to send them all off to good homes for the holidays, so here’s the deal: Shipping for a nickel. All you need to do is drop me an email at booth (at) fieldsedge.com – there shouldn’t be any problems at this point getting these sent out in plenty of time for the holidays. If you’d prefer to order regular unsigned copies through Lulu or Amazon or Barnes & Noble, that support is also greatly appreciated, and I sincerely hope you enjoy the read. I have no illusions that my independently-sold books will ever replace a full-time salary, but I am hopeful that these sales can at least cover a bill or two, or be responsibly set aside for taxes (yet another golly-gee-this-is-fun facet of the freelancer’s life). I’ve gotten encouragement from far-flung corners and surprising voices since updating the book in April, and I am deeply grateful and appreciative to every person who has bought it, blogged about it, reviewed it on Amazon or Goodreads or Lulu shared it with friends and family or just dropped me a note to say it sounded kind of neat. 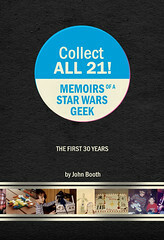 If you’re one of those people who has purchased or recommended “Collect All 21!”, heartfelt thanks one more time from my little corner of Ohio, and if you know a Star Wars fan, or another former 1980s kid, or just a generally geeky type, I appreciate your spreading the word, whether it’s on Facebook or Twitter or your blog or wherever. I’d walk through carbonite for every one of you. And now for something completely different: Star Wars. And baby birds. And don’t forget: I’ll be at the Akron-Canton Comic Con this weekend with a nice supply of books on-hand, and they’ll be cheaper than ordering online! Speaking of Star Wars, I got a nice surprise in the mail today: My friend Samantha who works at Positively Cleveland sent me a Fanboys DVD. I finally saw the movie earlier this month since it never made it to a Northeast Ohio theatre (funny, of course, since, oh, it’s about a bunch of guys from Ohio and, oh, the writer is from Ohio and grew up here, and oh, the town’s name, “Shandal,” is a none-too-subtle anagram of Ashland, which is all of an hour from here). I enjoyed the movie more than I was prepared to: It really never reached its full potential for either greatness or suckitude, but being a first-generation fan, I was probably a little more forgiving of its flaws, and I’m looking forward to watching the extras and listening to the commentary track. "Quit touching me!" "Mom, Theodore's pinching!" "I'm tellllllling!!!!"